When your customer is shopping around or spending more than a little money on your services, they like to know the details up front. Use this feature to create a professional estimate with the specifics of your choice. 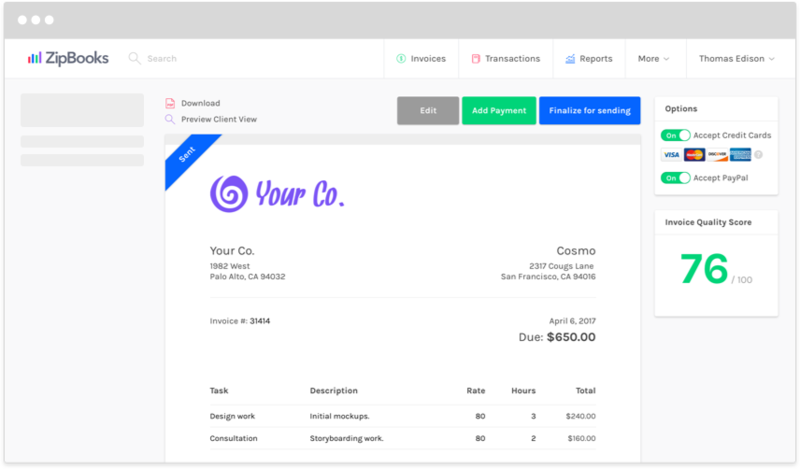 Format and add details the same way you do to create an invoice. Customize professionally and easily to create the image you’d like for your business. When a customer accepts your bid and gives you the go-ahead, convert your estimate to an invoice seamlessly. Make any changes needed and ZipBooks passes the info to your billing system in a snap.